Charter Bus Michigan: Book Your Next Trip With Us! If you have a group or organization that is planning a sightseeing trip or an excursion to a local museum or sporting event, it’s important to have proper transportation. You could carpool or try to arrange for everyone to meet at the destination, but that can turn into a major hassle. At Ground Travel Specialist, we’re always ready to help large groups find the perfect charter bus for their next outing. Our drivers are professional and courteous, and will make sure your group arrives safely and on time. Our charter buses range in size from deluxe mid-size to deluxe motorcoach. Our deluxe mid-size bus can accommodate 29 passengers, and the motorcoach comfortably carries 55 to 57 people. Every vehicle in our fleet has reclining seats, 110v electrical outlets, free WiFi, and more. There is room on board for carry-on luggage and coolers, and plenty of space underneath for suitcases and larger luggage. Depending on the size of your group and the length of your trip, we can recommend the ideal bus. Every vehicle has a spacious restroom with hand sanitizer, so you won’t have to worry about requesting multiple pit stops along the way. 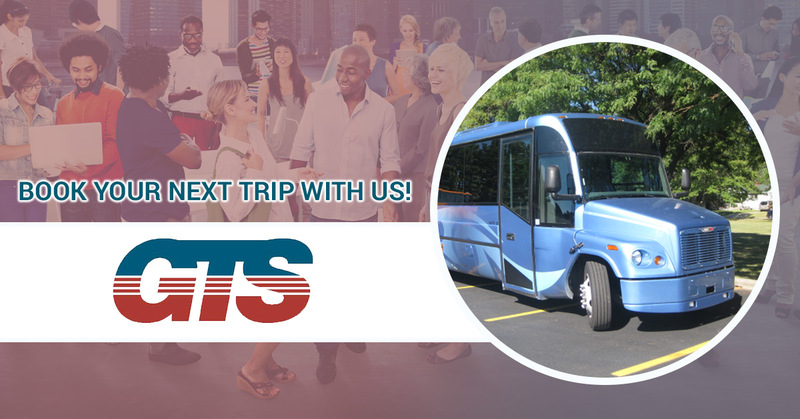 If you’re searching for a charter bus rental in Michigan, contact us today at (313) 295-8466. We can handle day trips to museums and ballparks, as well as overnight trips to other cities and states. Your entire group will ride in style and comfort the entire way, and we’ll make sure that everything goes smoothly. You won’t have to worry about driving or arranging other transportation once you reach your destination. GTS will take care of everything!